Yesterday started out as an incredible day. I was full of passion and energy, dare I say unstoppable. The day was going great, I was exceeding the goals that I had set for myself and BAM!!!!! In an instant my energy was gone. I continued with my day and put in a lot of effort but that “good feeling”, you know the one where everything just seems to flow, was no longer present. So what happened? 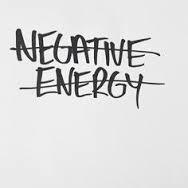 I allowed someone else who was having a bad day, maybe just a moment, “in” and by doing so that negative energy “zapped” me of my power. Has that ever happened to you? If you care about people, I’m sure that it has. To truly defeat mediocrity, we have to learn how to handle these types of situations. We need to learn how to “protect” ourselves from that which we can not control. Easier said than done. After thinking about what I could have done differently yesterday, I came up with 4 ideas that can be used to “protect” ourselves from our daily “energy robbers”. RESET– Take a break, go for a walk, listen to uplifting or motivational music, take a shower/bath, workout. Speak Your Truth– Let the other person know that while you sympathize with them, they need to go directly to the “source” of their issue and work it out. In many cases, including mine from yesterday, the “source” was another person. Nothing that I said or did was going to solve the problem. Get Rid of the Baggage– This is a tough one. Let’s be honest, at some point, everyone has a bad day, its to be expected. But for some people, every day is a bad day. These people call and talk to you about the same problems over and over again. It’s almost like they thrive on negativity. You listen, you “take on” their problems, you even offer incredible advice that they ultimately ignore, only to call you back the next day or week to vent about the exact same thing. If you have someone like this in your life and they are robbing you of your energy, wasting your valuable time or just frustrating you, it may be time to speak your truth and let them know how they are affecting you. It may be the “eye-opening” conversation that they need to hear. If you have that talk and they don’t stop or change, it may be time to distance yourself from them. While it won’t be easy, it may be necessary. Serve Others– Nothing can make a bad day good faster than helping someone else. Open a door, send someone flowers, bake some cookies and take them to your friends and neighbors. The smiles that you see and the happiness that you generate will be sure to turn your day around. If you have more ideas on how to “protect” or “flip” negative energy, please leave your ideas below in the comments section.